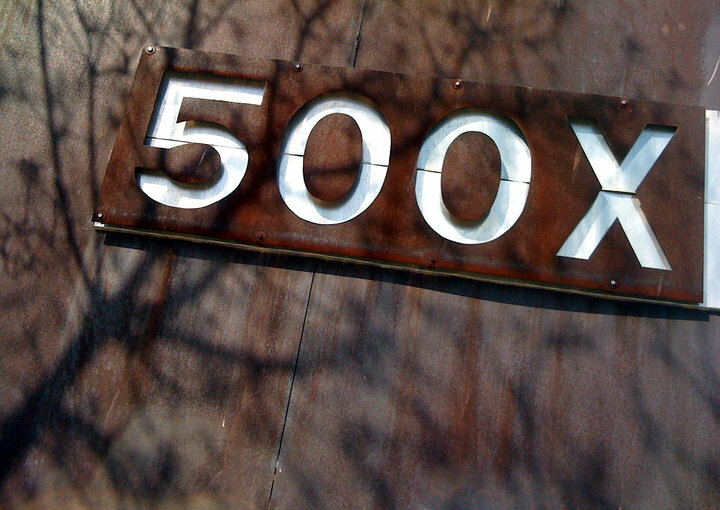 500X Gallery is one of Texas' oldest, artist run, cooperative gallerys. Established in 1978, 500X provides one of the best exhibition spaces to up and coming artists in the city of Dallas. The gallery is located in a historic circa 1916 tire factory and air-conditioning warehouse and has over 3000 square feet of exhibition space. The plan for 500X Gallery was developed by two artists: Will Hipps, a Massachusetts native who moved to Dallas to teach, and Richard Childers, a local painter. The goal was to provide a space for artists to exhibit free of outside influences and dealer restrictions.Over the years, the plan has succeeded by giving artists the opportunity to show their work to the public in a professional venue. For many alumni, 500X has served as an entry point into the art world and have subsequently become prominent artists in the Metroplex and elsewhere including Vincent Falsetta, Otis Jones, Nic Nicosia, Frances Bagley, Tom Orr, Frank X. Tolbert, Randall Garrett and Paul Booker to name a few. 500X Gallery exhibits work by the current board members as well as by guest artists who are featured monthly in our upstairs gallery. This allows 500X to continue to foster and introduce other artists from Texas as well as national and international artists to the Dallas/ Fort Worth art scene. Annually, we exhibit a juried show titled "Expo" which is a contemporary survey of work chosen by a guest curator from the local arts community. In the spirit of our mission statement, we also feature an unjuried "Open Show" for any artist wishing to exhibit their work for a small fee. In 2018, we will celebrate 40 years of providing an alternative space to the Dallas arts community. We are grateful to the community and to all of the individuals therein for 40 years of care, energy and continued support! Be informed about exciting new shows and events at 500X Gallery via e-mail. Click the link below! If you are interested in purchasing a work, please contact us at the500xgallery@gmail.com.